The Nimble Adaptive Flash platform enables enterprise IT organizations to implement a single architectural approach to dynamically cater to the needs of varying workloads. 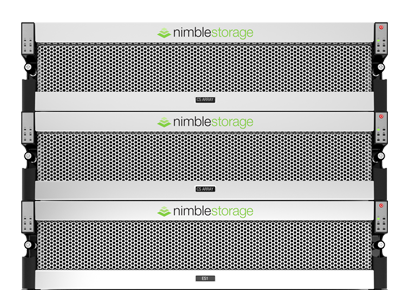 Request a free POC from Net at Work & Nimble Storage. This no cost assessment will be the first step in eliminating your storage silos. The Nimble Adaptive Flash platform enables enterprise IT organizations to implement a single architectural approach to dynamically cater to the needs of varying workloads. Within this single platform, customers can apply multiple service levels to address a wide range of enterprise applications. Assign an All Flash service level for demanding applications requiring deterministic low latency, while simultaneously applying an Auto Flash service level which more efficiently uses flash resources to cater to the majority of mainstream applications that require a balance of high performance and capacity. For applications with lower performance requirements, the No Flash service level optimizes for cost of capacity. Adaptive Flash is the only storage platform that optimizes across performance, capacity, data protection, and reliability within a dramatically smaller footprint. Adaptive Flash is built upon Nimble’s CASL™ architecture, and InfoSight™, the company’s cloud-connected management system. CASL scales performance and capacity seamlessly and independently. InfoSight leverages the power of deep data analytics to provide customers with precise guidance on the optimal approach to scaling flash, CPU, and capacity around changing application needs, while ensuring peak storage health. Network with IT professionals from across the NYC region for an an informative happy hour on Jan 21, 2016 at View of the World Terrace Club.